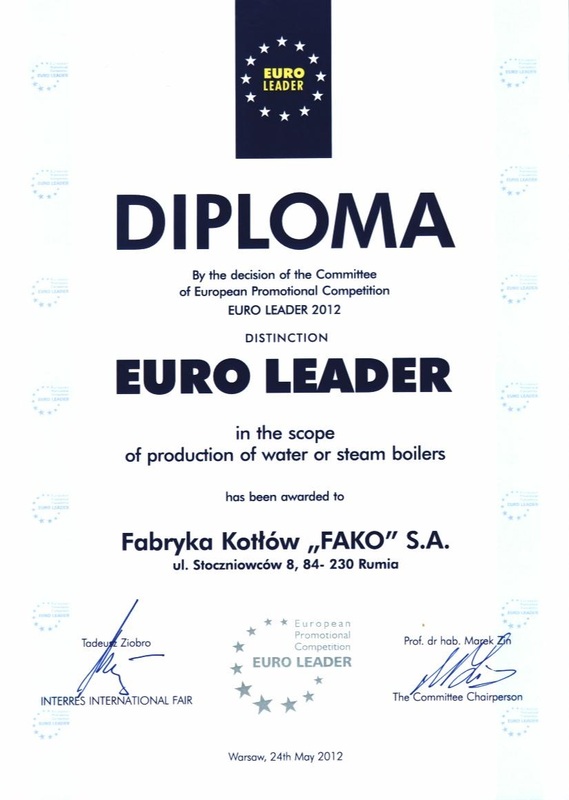 Company „FAKO” S.A. designs and manufactures hot water and steam boilers. Boilers power from 16kW up to 10MW, (steam boilers capacity from 80 up to 15000kg saturated steam per hour), working pressure up to 2MPa. We deliver the boilers fired with such a fuels like pellet, coal, oil (both types –diesel, heavy oil and oil after pyrolisis), biogas, biomass (wooden chips, sawdust) and gas (LPG or natural gas). We offer also boilers designed and manufactured just according to customer specification. 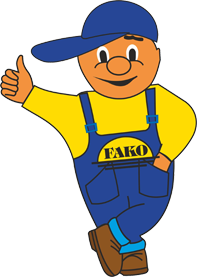 “FAKO” boilers have high efficiency, easy maintenance and reliability. The boilers have been equipped with control systems, which allow to operate them with no personnel. Our boilers have low emission of Nitrogen and Sulphur compounds. 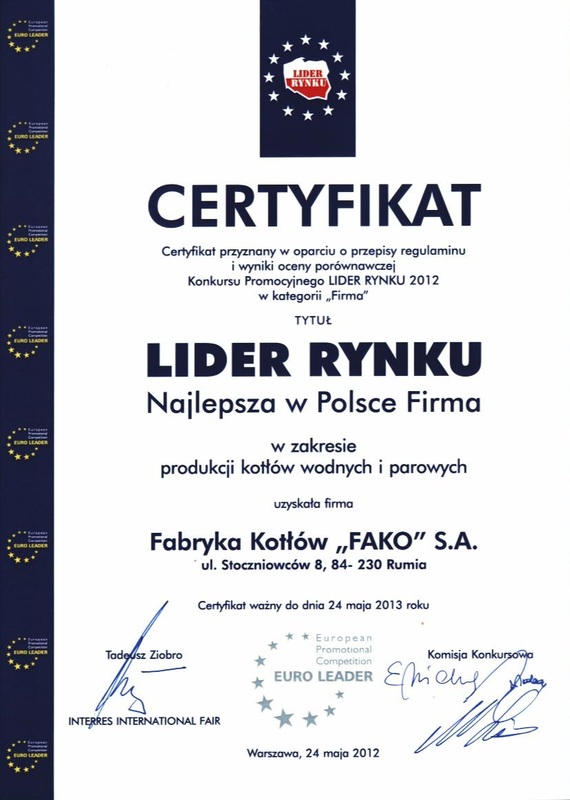 We have received necessary certificates and approvals and we are prizes winner on several exhibitions. We have sold over 100 thousands boilers in domestic market and abroad since 1945 year when our company has been established. We hope, that our website would spread your knowledge about us and our products and it makes it possible continuous improvement of our products. Thank you in advance for all opinions and suggestions and we wish you fruitful cooperation with our company.